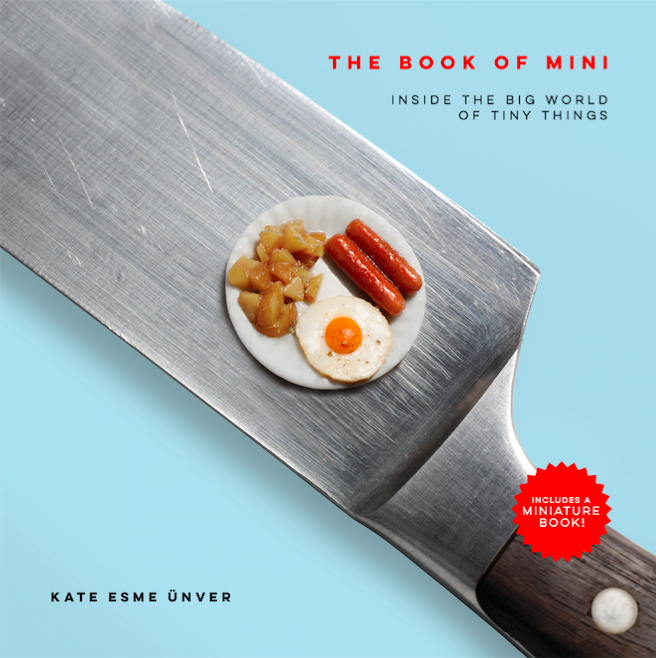 Big news… The Book of Mini: Inside the Big World of Tiny Things is now in stores! 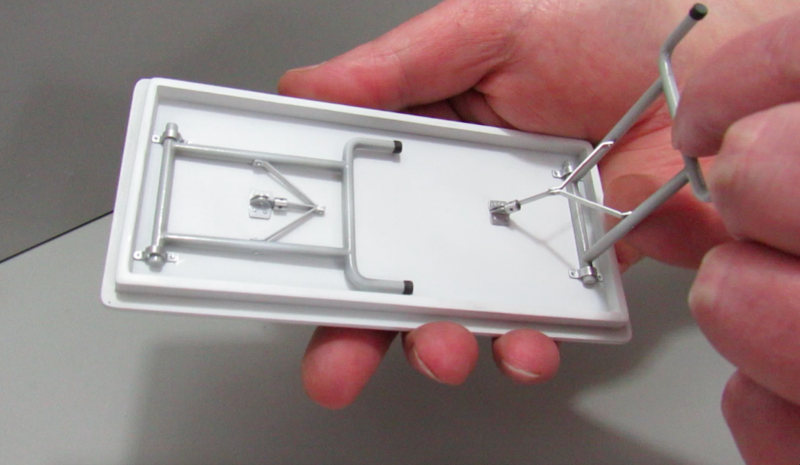 So… what exactly have we been cooking up? Here’s your exclusive preview! Director and Producer Alesha Metzger has been creating digital content for years. 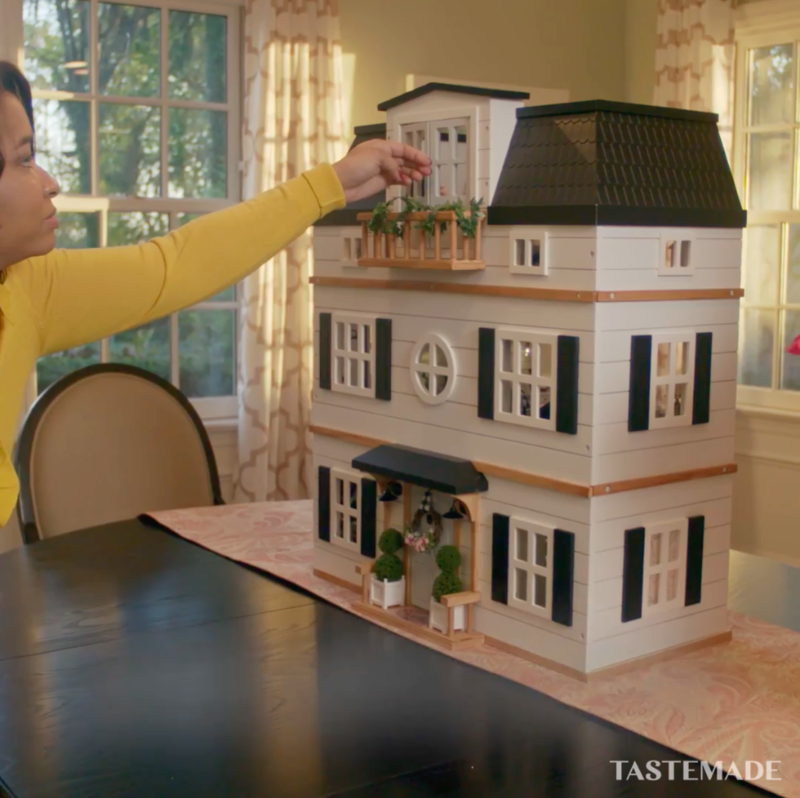 She now specializes in the food and home space, and has become an even bigger fan of miniatures through her work on Tastemade’s viral sensation, “Tiny Kitchen.” Over the past two years at Tastemade, she’s mastered small-scale recipes and produced hundreds of videos featuring diminutive dishes being cooked, sautéed, grilled, baked — you name it! — within seconds. 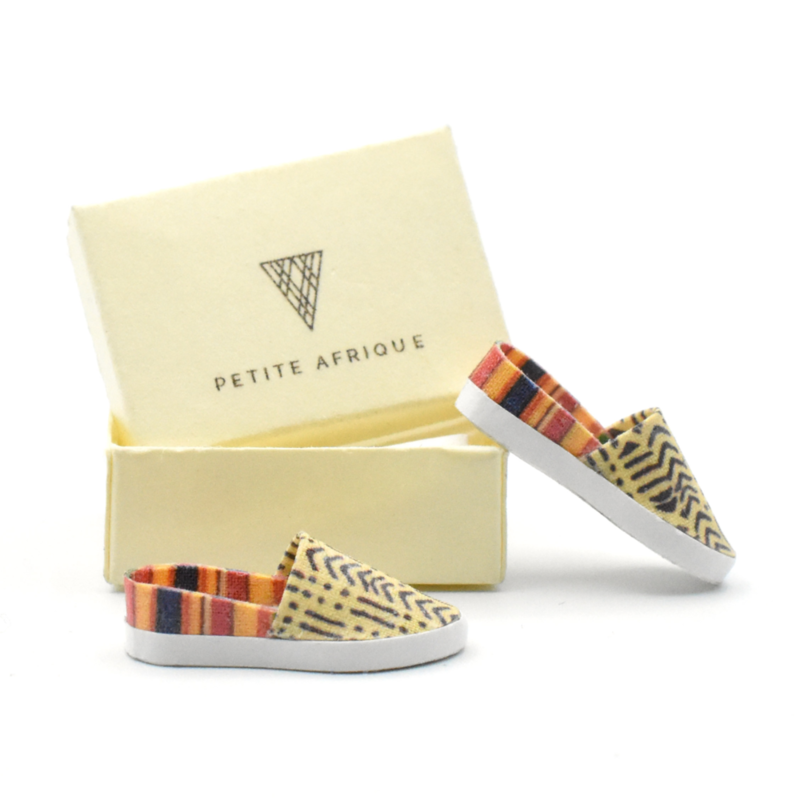 Full-sized or tiny, she thoroughly enjoys the creative process of bringing a story to life. How many Tiny Kitchen recipes or videos has your team created? 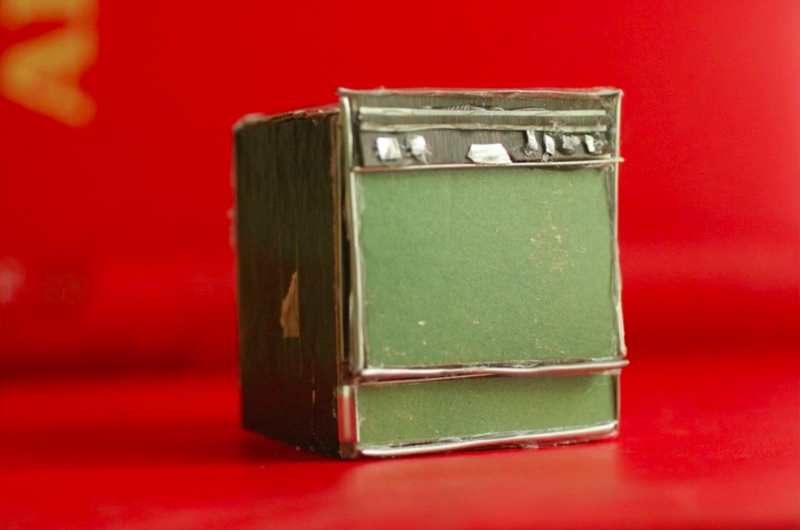 We have created more than 200 Tiny Kitchen videos, which is crazy because every time we think, “wow, we are out of ideas…” we somehow come up with more! What steps go into the creation of just one of your Tiny Kitchen videos? First, we start with the recipe ideas and think about any upcoming holidays or events that we want to cover. We usually film 16 of these across two days, so there is a lot of recipe research in pre-production. Then, I order props that I think will pair well with the recipes; since most mini things are custom-made, the turnaround time needs to be taken into consideration. We spend a few days testing all of the recipes and trying them out in various mini pans and dishes. Once we have everything set, we start shooting. We film about eight a day, so it’s quite a long day of setting up, prepping, and filming, but it’s a lot of fun! 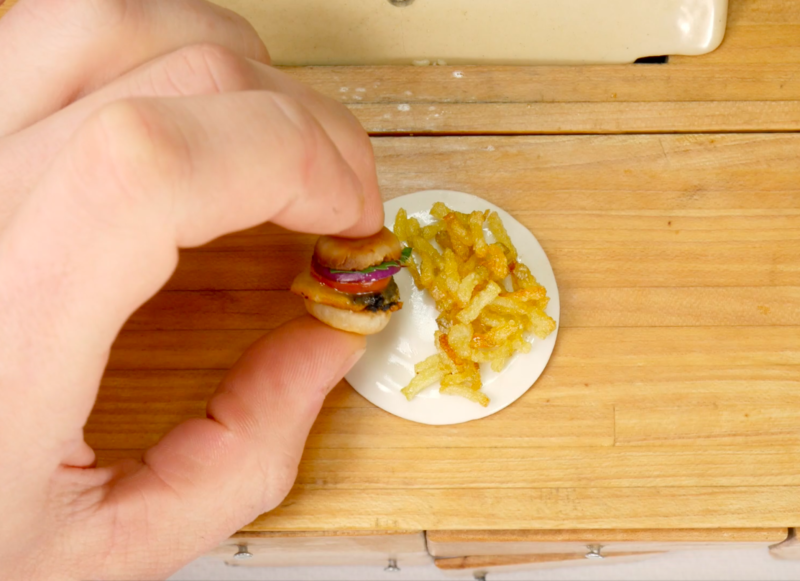 What’s unique about your miniature medium of real food? 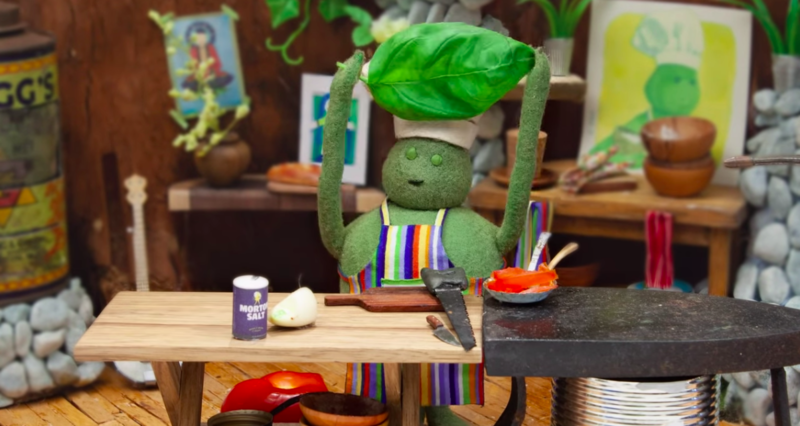 One of the reasons why Tiny Kitchen is so unique is because all of the food is real, the recipes are real, and we actually cook everything on camera. 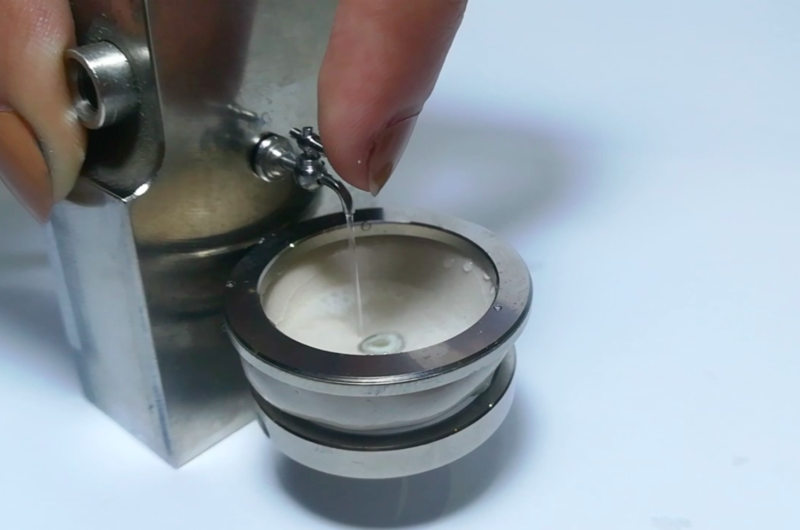 Where do you source your miniature props? Etsy is truly an amazing resource for finding mini props. I spend hours searching for just the right prop—part of the fun is the hunt for the perfect item. I source props from makers all around the world. For example, most of our regular set pieces are from England and Germany. 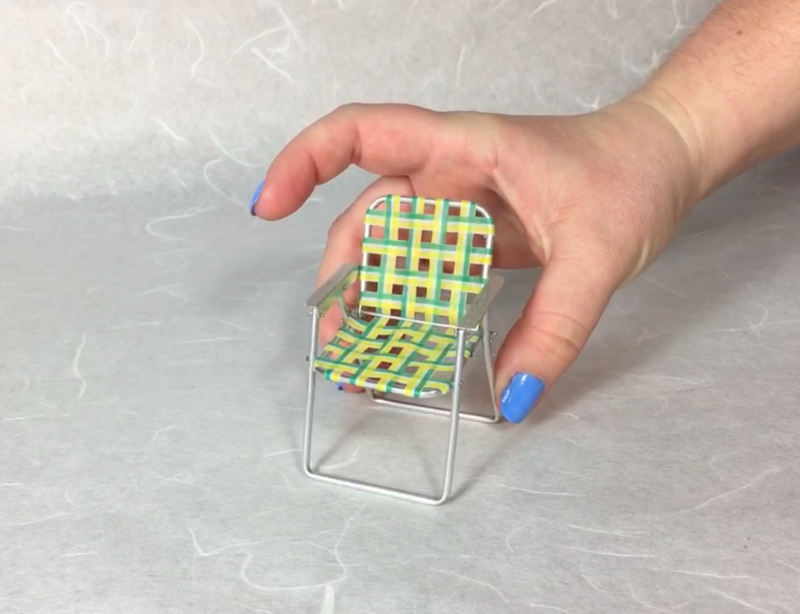 Sometimes, we come across a tiny prop we love and then challenge ourselves to use it in a video, like a bento box or tiny, farm-grown blueberries. Instagram is another great place to find mini makers. 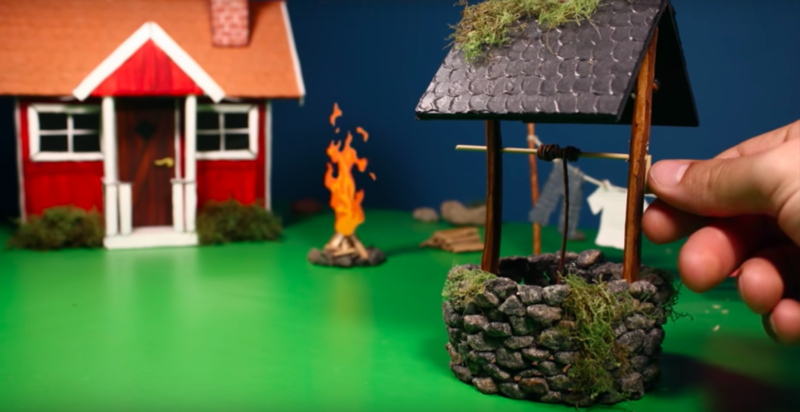 What’s the most complicated recipe you’ve ever created in miniature? There are certain recipe aspects that tend to be very complicated, like getting a quail egg to fry properly; whisking long enough to get a true meringue; or folding up a tiny burrito without the tortilla bursting. 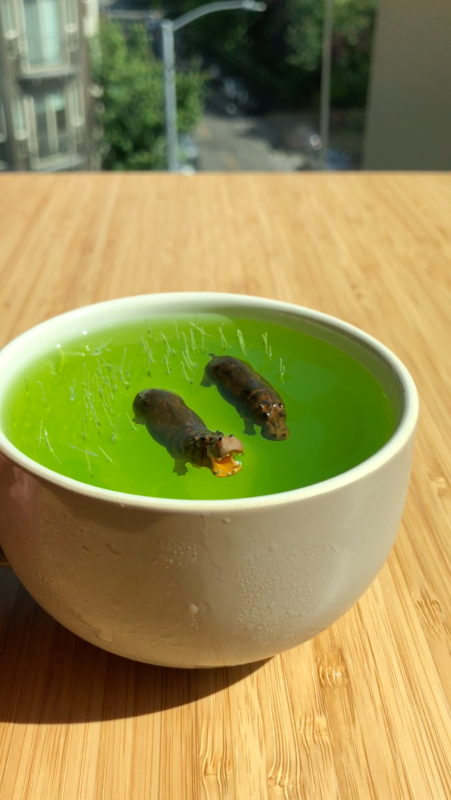 What’s the most unusual ingredient you’ve ever used in your work? When we first introduced shrimp dishes to the show, we had to think creatively about how to get our hands on real, tiny shrimp. We use dehydrated baby shrimps from the Asian market that we have to rehydrate before we cook. It’s always fun trying to figure out creative ways to keep the food we make 100% real. Our tiny knives. They are handmade in Japan and very sharp. 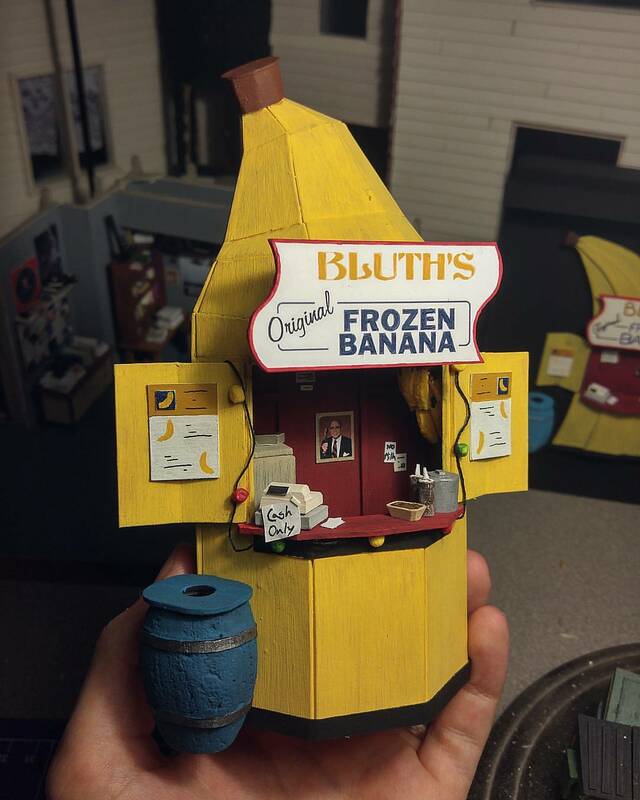 What’s your favorite food to eat in miniature and why? One of the best things we have ever made was a tiny mushroom tart. 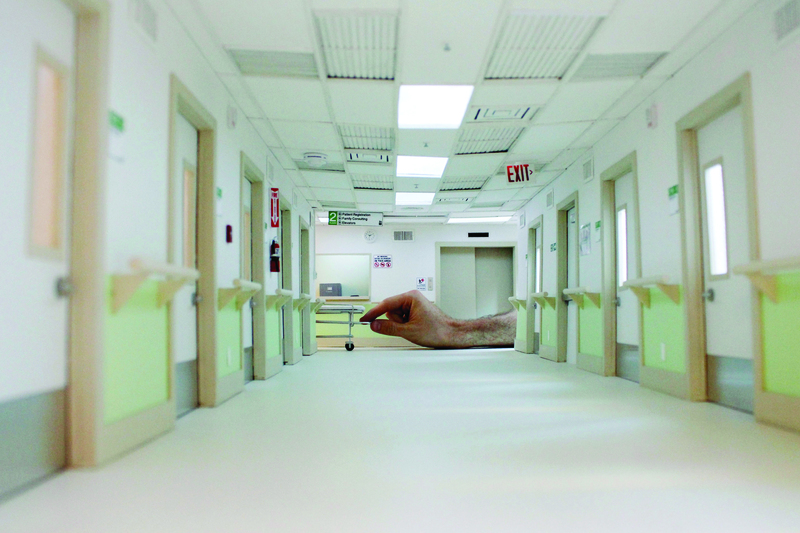 When we were done filming we cut it into four teeny, tiny, micro pieces and each had one. It was delicious! Everywhere! We often chat about our favorite childhood foods or comfort foods and see if we can recreate them. We also get a lot of fan requests and try to incorporate those as much as possible. What’s the most memorable miniature you’ve ever come across? Usually, I think that every tiny prop I come across is the cutest thing ever, but I gush over tiny holiday props. 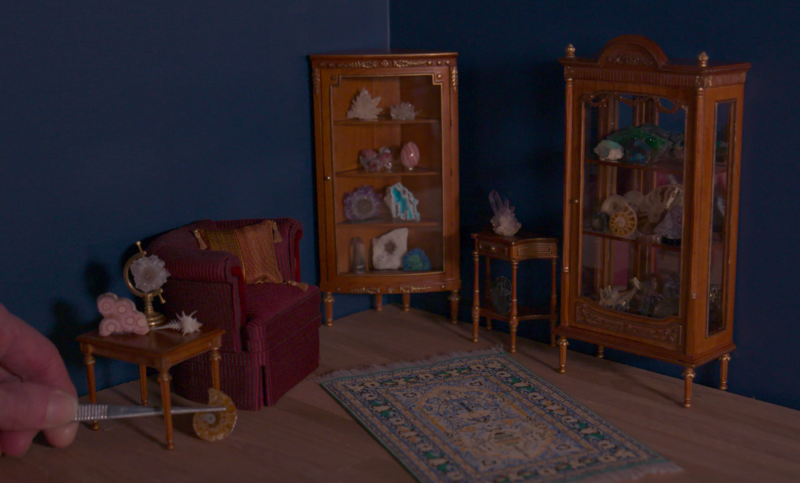 I actually produce our “Tiny Home” show as well, and my all-time favorite prop is this tiny bong that we put into every episode. 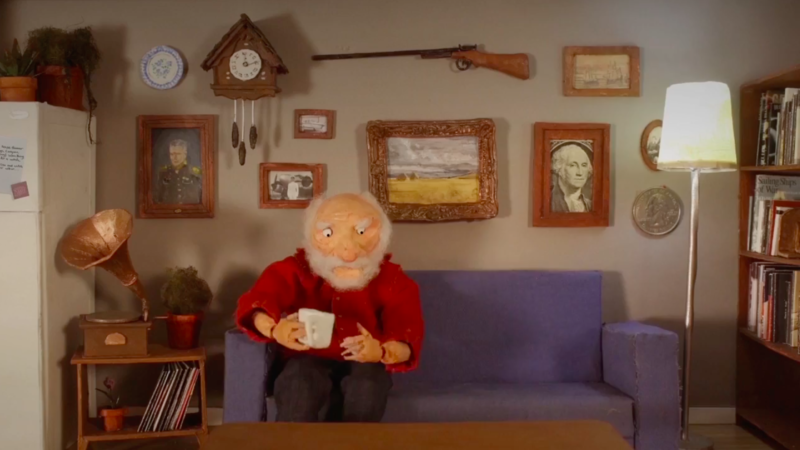 If you weren’t creating viral videos for Tiny Kitchen, how would you be spending your time? Cooking and traveling, which is a major reason why I work at Tastemade. When I’m traveling, I always try to take a local cooking classes. Why miniatures? 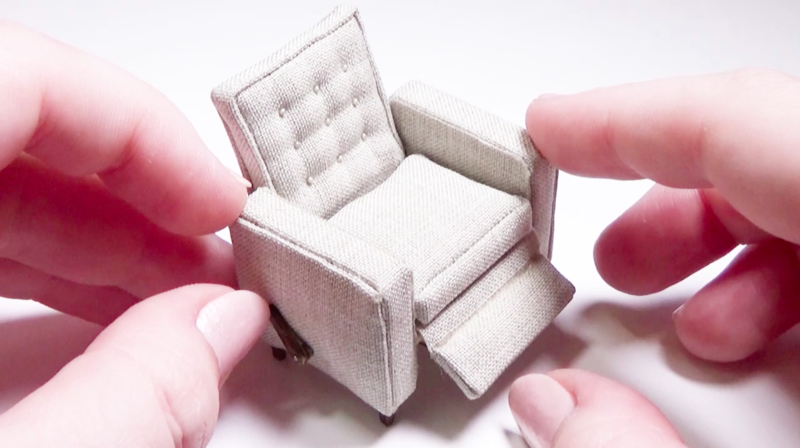 Why miniature food? 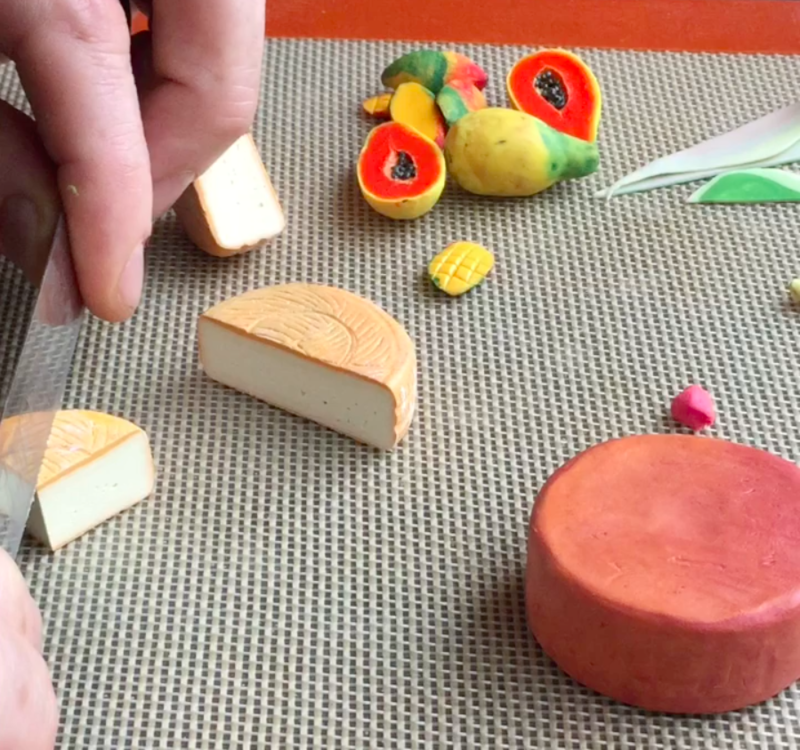 There is something so mesmerizing and enjoyable about creating miniature food. Every time we think we can’t do something, we end up surprising ourselves and somehow pull through. It is so enjoyable and exciting each time a new recipe comes together. Tiny Kitchen is produced by Alesha Metzger. The hands and food styling of Tiny Kitchen are Hannah Aufmuth. Guldies, Going Fishing, Branches, leaves, paper, clay, fabric, fishing lures, forks, stones, moss, and mixed media. Original sounds by Guldies, with Freesound users jittels (wood chopping), kyster (spring in my garden), speedygonzo (tree stump breaks and falls), unclesigmund (watering can), kvgarlic (bacon frying winter early 2013), and zmb94 (campfire-1). Outro song by KMODO. David Riley Model Making, The Modern Workplace, Mixed media. 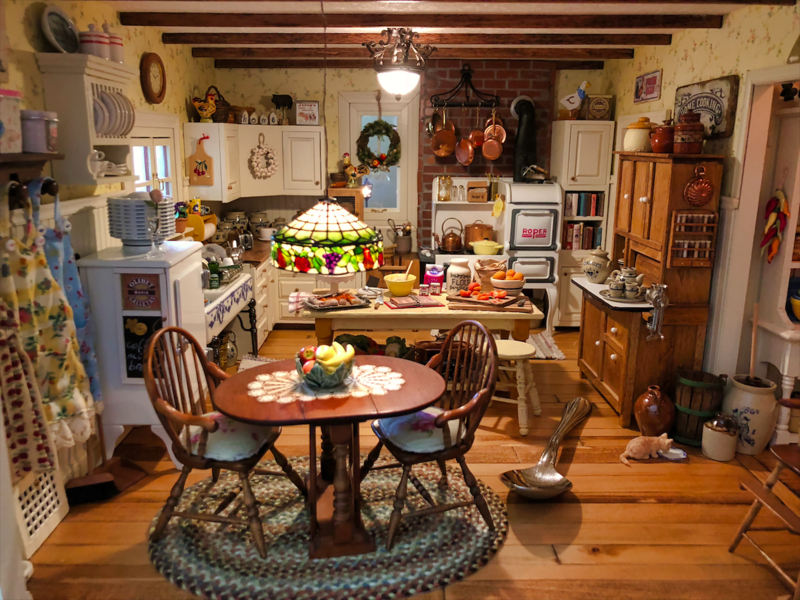 Kathleen Holmes, Kathleen’s Dollhouse Kitchen, Mixed media by various artists. 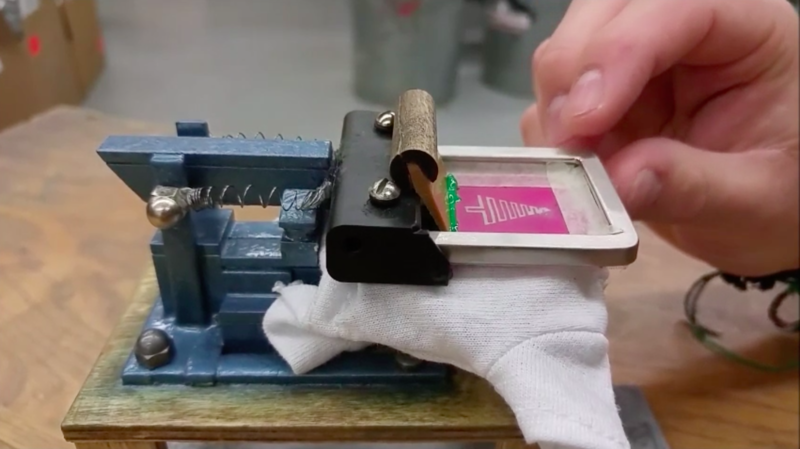 Devin Smith, World’s Smallest Silkscreen T-shirt Printing Press, Silkscreen, metal picture frame, cassette tape holster, Legos, pen springs, tape, paint, glue, cardboard, Barbie T-shirts, ink, plastic, wood, metal, and mixed media. 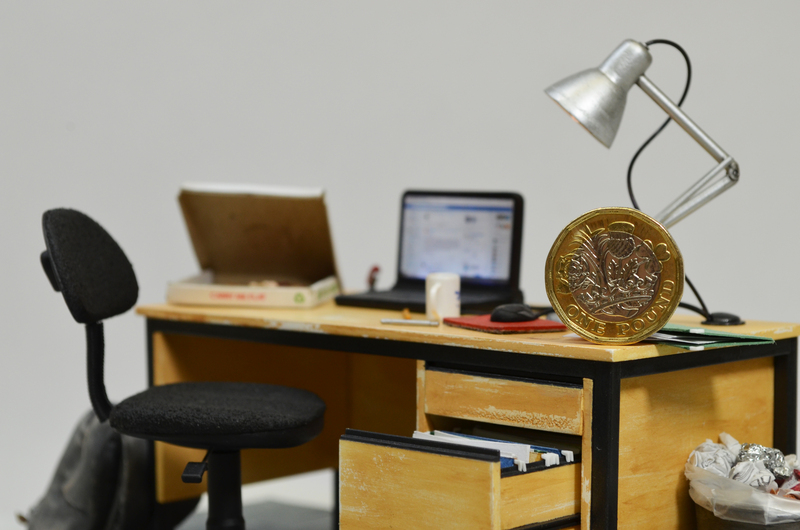 Sean David Christensen, The Miniature World of Lili Taylor’s “The Duel,” Balsa wood, basswood, 110 lb. card stock paper, 300 lb. cold press Arches watercolor paper, craft metal, acrylic paint, clay, foam board, dowels, Dura-Lar, and MDF paneling. Music by Ricky Berger from Ghost Tape #10. Derrick Lin, Lazy Summer, Plastic figures, jello, and tea. Lee Harper of History Bones, The Catacombs, Paint, paper, clay, wood, cloth, plastic skeletons, and animal bones. Dylan Stanfield, Pawlet from Vermont, Polymer clay. Lydia Ricci, More Is Not Better, Scrap materials and mixed media. José María Bolio, Folding Table, Aluminum, plastin, and tin. Wendy Smale, Rockhound’s Retreat, Bespaq furniture, silk, natural materials, and mixed media. Music by Neil Cross entitled “Paradise on Earth,” licensed to Jennifer Smale of Flat Egg Productions LLC. Tom Brown Creates, Burger and Fries, Wood, metal, ceramic, produce, and mixed media. Music composed by Jimmy Van Heusen, played by Kenneth Brown. Michael Yurkovic, Folding Lawn Chair, Aluminum and washi tape. Mini Materials, Miniature Jersey Barriers, Mini Cinder Blocks, Pine Wood Pallets, and Red Bricks, Cement and pine wood. 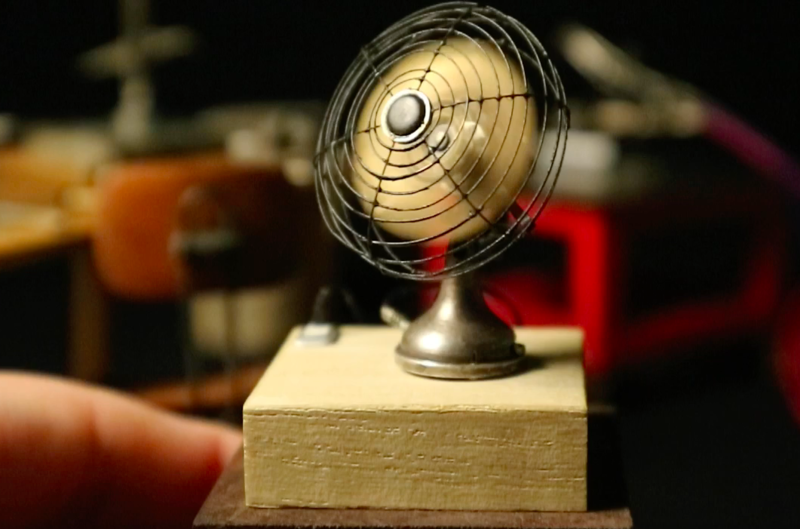 Takahiro Komiya of Atelier HINOKO, Fan, Metal and mixed media. 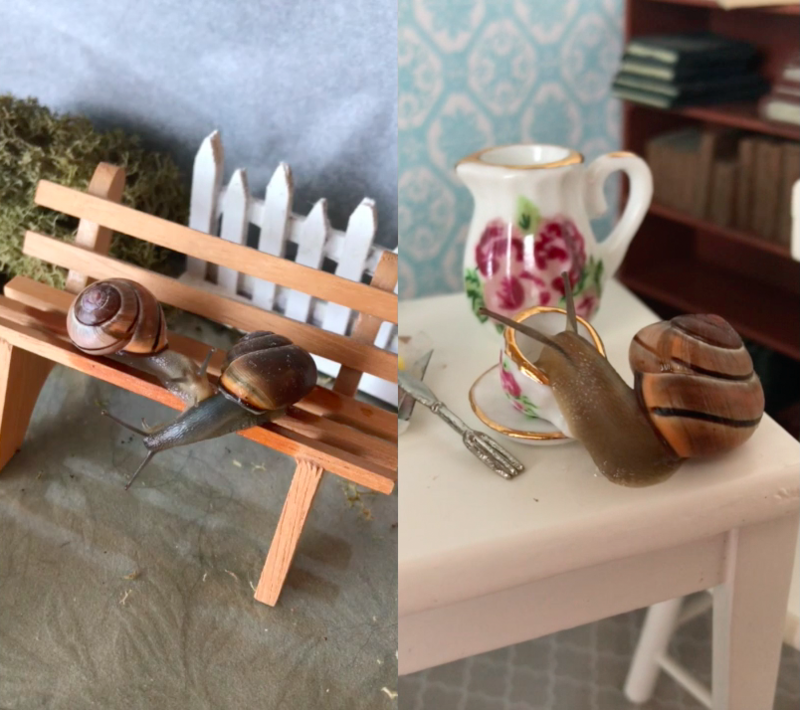 Marla Coppolino (The Snail Wrangler), Snails and Their Tiny World, Mixed media by various artists with grove snails (Cepaea nemoralis). Tastemade, Nathan Rea (Producer), Kenneth Keeler (Director of Photography), Tulica Singh (Editor), Showcase: Tiny House Calls, Mixed media. KrakenMakeRuckus, Modern Working Recliner, Scaled lumber, basswood, wood stain, batting, fabric, thread, wood glue, hard music wire, super glue, and micro beads. Ibrahim Kaçar, Sink, Chrome, ceramic, plastic, engine, and mixed media. 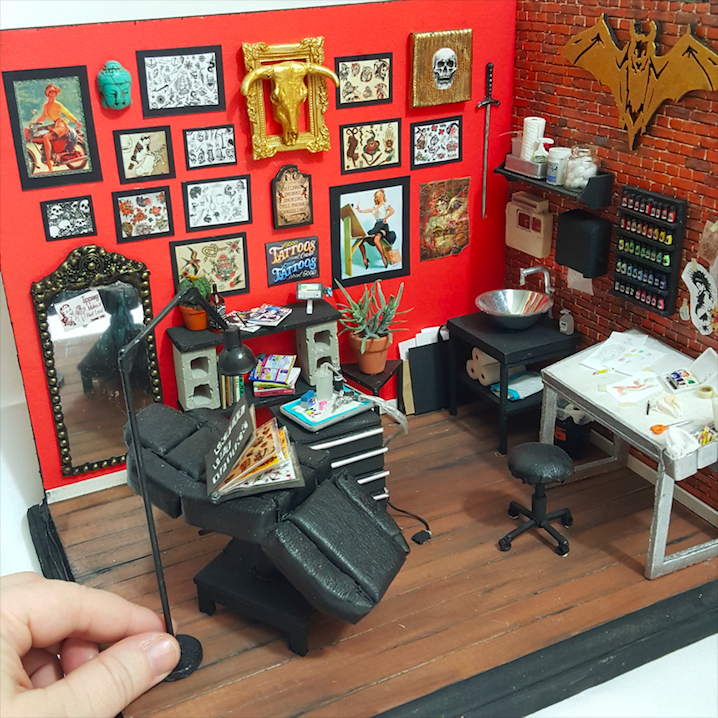 Amanda Kelly, Golden Bat Tattoo Shop, Mixed media. …to continue reading, check out The Book of Mini, now available in stores and through e-retailers. have a little look around, why don’t you?